I didn't think anyone would like this book, honestly. I wrote it as is. A collection of flash fiction stories based on personal experiences. Some people seem to like it, others didn't. It depends. For 4 days straight now the book has been No.1 on the Amazon's list of 90-min humor and entertainment short reads list. (free books). Today, someone left a review saying she liked it. The idea was inspired by Robert Fulghum's "All I need to know I learned in kindergarten." So if you like that type of short tales, somewhat philosophical and humorous, this is the book for you. The book is available for download until 13 April. The book cover for the Portuguese version of Smokescreen. The English version was published in 2013. Q&A with Khaled Talib author of GUN KISS. Discover his favorite character. The book is on sale for only $0.99. Enter to win an Amazon Fire. 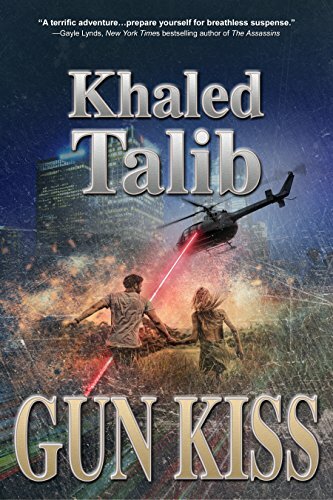 Q&A with Khaled Talib, author of the thriller GUN KISS, which is on sale for only $0.99. Find out when the writing bug first bit. Enter to win an Amazon Fire. Join the fun! Book Giveaways! Born and raised in Singapore, Khaled Talib is a former magazine journalist and public relations practitioner who has authored three thrillers since 2014. 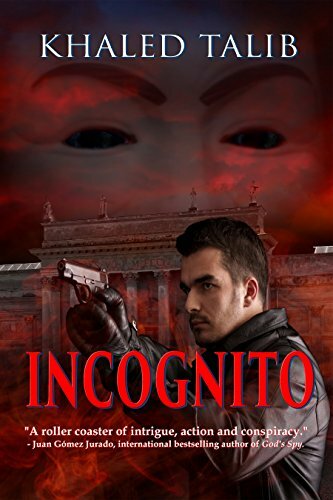 The author is a member of the International Thriller Writers. He likes traveling and he has been to various places from India to Europe. For Khaled, the ideal ambiance to write will be an environment where he is not completely alone. To deal with writer’s block, the author uses a sledgehammer. Currently, he is working on a mystery thriller set in South Australia, Adelaide being is capital. "Wow, what a a ride!" Readers' Favorite 5-Star Review. Anonymous to search for the Pope who is missing. GUN KISS has been nominated Cover of the Month. Please take a moment to vote for it.